Our guide to Miami will help you find the best kid friendly parks in Miami Florida. Miami has a true tropical climate, with hot & humid summers and warm & mostly dry winters. Miami was ranked as "America's Cleanest City" according to Forbes Magazine for its year-round good air quality, vast green spaces, clean drinking water, clean streets and city-wide recycling programs. Sultry, seductive Miami, Florida entertains many identities: snowbird refuge, retiree haven, celebrity playground, immigrant stop-off and tourist mecca. All undeniably accurate, they're telling descriptors of everything this dazzling city embraces. They're also indicative of the melting-pot culture that has come to define South Florida, an area originally dismissed by developers. Food and music, in fact, showcase Miami's zest for all things sensual. Cool jazz, spirited salsa rhythms, and a cuisine that unites fresh seafood, tropical fruits and tongue-tingling flavors provide evidence of a people and a city mesmerized by – and dedicated to – the spices of life. Experience its many incarnations in the most sizzling Miami neighborhoods: Little Havana, SoBe or the Design District. Each one boasts top-notch clubs and superlative restaurants, energized by a style-conscious clientele, so you will never run out of things to do in Miami. There are tons of great kid friendly parks in the city of Miami, our city guide will help you find the best kid friendly parks. You may have a hard time deciding what to do in Miami, but we make your decision easy. 1099 Ocean Dr, 356743233139 - Lummus Park and Public Beach is a kid friendly park located in Miami FL. 1698 NW 8th Ave, 356743233136 - Climbers, drum and bell panel, babble-on, crawl tubs, 4 activity panels, ADA transfer station, rock block. 18995 W Dixie Hwy, (305) 931-5726 - This facililty includes a basketball court, tot lot, and recreation center. 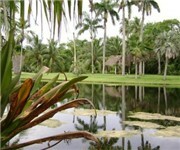 1999 N Bayshore Dr, 356743233132 - Margaret Pace Park is a kid friendly park located in Miami FL. 2101 NW 51st St, (305) 633-4066 - Olinda Park features two lighted basketball courts, a tot-lot, and walking trail. The park also offers summer camp and after school programs. 2175 NW N River Dr, (954) 463-4359 - Unity Park is a kid friendly park located in Miami FL. 301 Biscayne Blvd, (305) 358-7550 - Located in downtown Miami, next to Bayside Marketplace, this park hosts many musical and holiday events throughout the year. 342 SW 7th Ave, (305) 252-5900 - Riverside Park is a kid friendly park located in Miami FL. 6100 SW 67th Ave, (305) 665-5921 - Amenities include lighted football and baseball fields, a playground totlot, and a concession stand. 7030 Trouville Esplanade, (305) 993-2021 - Amenities include a basketball court, soccer field, tot lot, adult lap pool, children's water playground, picnic pavilion, and recreation building. 7900 SW 40th St, (305) 226-8315 - Located in West-Central Miami, this park offers a great location and facilities. 8700 SW 57th Ave, (305) 666-8680 - This well-shaded park offers new playground equipment, divided into sections for older and younger children. Virginia Beach Dr, (305) 960-4600 - Virginia Key Beach Park is a kid friendly park located in Miami FL. There are plenty more kid friendly parks in Miami. 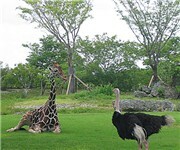 See all kid friendly parks in Miami Florida.